Welcome to Philadelphia, home of great sports, great food, and great culture! We hope that during your stay, you will explore our exciting, vibrant city. In addition to being a vital part of our nation’s history, Philadelphia also features a wealth of museums and galleries, restaurants from the world’s top chefs, championship sports teams, and a lively cultural scene. 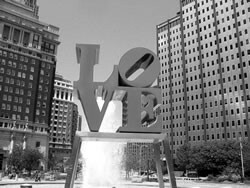 The City of Brotherly Love & Sisterly Affection is also the birthplace of America. Philadelphia’s Old City District is home to landmarks such as the Liberty Bell (Market Street between 5th and 6th Streets), the Betsy Ross House (Arch Street between 2nd and 3rd), and Independence Hall (Chestnut Street between 5th and 6th). The National Constitution Center on Independence Mall is a recent addition to the city, and features interactive and multi-media exhibits honoring and explaining the U.S. Constitution. For a guided tour, the Constitutional Walking Tour of Philadelphia explores the city with you and features more than 20 historic sites. The image of Rocky running up the steps of the Philadelphia Museum of Art is world-famous, but cannot compare to the Museum’s reputation as one of the great art institutions of the world. The Franklin Institute (20th Street and the Ben Franklin Parkway) is Philadelphia’s most-visited museum, and features interactive exhibits and theater-based programming providing a fun and educational look at science and technology. Philadelphia is also home to the 2008 World Series Champions, the Philadelphia Phillies, and the most recent 2018 Superbowl Champions, the Philadelphia Eagles. 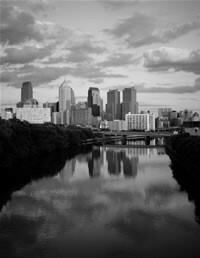 The loyal and enthusiastic fans of the city are known for their extreme passion for all of their teams, and displays of their affection are sprinkled throughout the city. For a taste of the local cuisine, visit Pat’s or Geno’s cheesesteaks at 12th and Passyunk Streets in South Philadelphia’s Italian Market, and participate in the debate for Philadelphia’s King of Steaks. Philadelphia natives also recommend Jim’s Steaks at 4th and South Streets. In addition to cheesesteaks and soft pretzels, Philadelphia is home to eight restaurants by famed “Iron Chef” Jose Garces. His restaurant, Distrito, is just blocks from the conference site. “Top Chef” Nicholas Elmi now calls Philadelphia home, and opened his award winning restaurant, Laurel, on Passyunk Ave in South Philadelphia. You can find many of Center City’s fine dining establishments on Rittenhouse Row (Walnut Street from Broad St. to 21st St.). You may also want to visit Philadelphia’s Chinatown, which extends from Arch Street to Vine, between 8th and 11th Streets. Be sure to stop in one of the area’s many tea houses, bakeries, and restaurants featuring Chinese, Japanese, Vietnamese, Malaysian, and Thai cuisines. Another popular hometown attraction is the Reading Terminal Market (12th and Arch Streets). An indoor market founded in 1892 on the site of William Penn’s original Philadelphia market, the Reading Terminal Market features fresh meats, poultry, produce and seafood, Amish specialties, and unique hand-made pottery, jewelry and crafts from around the world, plus a little bit of everything else. The Market is also one of the top destinations for a quick and excellent lunch in Center City Philadelphia. For information on these exhibits and other attractions in the Philadelphia area, visit the Independence Visitor Center at www.independencevisitorcenter.com, in person at 6th and Market Streets, or by calling 800-537-7676. The Center is open daily from 8:30 am to 7:00 pm.